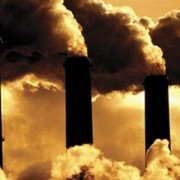 WASHINGTON, July 22, 2013 /PRNewswire-USNewswire/ – To help battle climate change, 65 percent of Americans endorse setting limits on dangerous carbon pollution from the nation’s power plants, according to new national poll conducted for the Natural Resources Defense Council. The poll finds that even 49 percent of Republicans favor the U.S. Environmental Protection Agency establishing standards to curb power plant carbon pollution. The support among Democrats is 84 percent and 56 percent among independents. Furthermore, fully 61 percent of Americans back the major climate action plan President Obama unveiled on June 25 th, according to the poll, the first conducted on all elements of the plan. In addition to tackling the unlimited carbon pollution released by power plants, the plan would improve vehicle fuel efficiency, boost energy efficiency for homes and businesses and invest more in wind and solar power. “It’s important that this is not a generational or regional issue—people in all age groups and in every region of the country endorse this plan. Simply put, Americans want to see something done to counteract climate change, and they say setting limits on power plant emissions is an important step,” said Jay Campbell, senior vice president at Hart Research Associates. Hart Research, which often works with Democrats, conducted the poll for NRDC jointly with Chesapeake Beach Consulting, a firm that often works with Republicans. “The public wants Washington to address the issue of climate change, including Republicans who indicate strong support for each of the individual components of the plan. Not taking action is not an option the public will accept,” said Chesapeake’s President Robert Carpenter. From July 1 through 7, 2013, the polling team surveyed 808 registered voters nationwide; the poll has a margin of error of 3.5 percent. In addition to gauging support for power plant standards and the president’s climate plan, the survey found sizable backing for each part of the president’s plan and rising intensity of concern about climate change. Today there are limits on soot, arsenic and mercury allowed into the air and water. But there are no federal limits for carbon dioxide emissions. As a consequence, roughly 1,500 power plants in the United States release about 2.4 billion tons of carbon pollution into the air each year. 79 support increasing fuel efficiency standards for new vehicles. 78 percent support increasing investment in renewable energy sources such as wind, solar and hydroelectric power. 78 percent support stronger energy efficiency standards for appliances and new buildings. 76 percent support the United States taking a lead role in encouraging countries such as Chinaand India to expand their efforts to curb carbon pollution. 75 percent support strengthening communities against the effects of climate change, such as creating new flood reduction plans for areas hit by Hurricane Sandy, and drought and wildfire preparation plans for the Midwest and West. “SUPPORTERS of this plan say that cutting carbon pollution is essential to keeping our air and water clean, protecting our kids’ health, and reducing the devastating effects of climate change. President Obama’s plan represents a reasonable and comprehensive approach that will help our economy to continue to grow and recover while sparking innovation in energy technology and cutting our dependence on foreign oil. Hearing both views, Americans still support the President’s climate plan by nearly two-to-one: 59 percent support the plan; just 32 percent oppose it. That included 84 percent of Democrats, 53 percent of independents and one-third of Republicans. Finally, the strength of backing for the president’s plan is underscored by the fact that the public’s concern about climate change is on the rise. A Hart Research poll last December showed 31 percent rated it a “very serious problem,” while now 39 percent view it as a very serious problem.